Ciara married Seattle Seahawks player Russell Wilson back in July and says she had not only a perfect wedding, but the best day of her life to date. The couple tied the knot in the UK and the star took the time to explain everything that went on that day. She shared with #Legend magazine: “I definitely can say it was two of the most perfect days in my life. The day before and the day of the actual wedding was a special time. The artist says she’s still “floating” due to the impact the wedding day made on her, while enjoying her time with friends and family. “It was honestly so beautiful and I really felt like I was in a fairy tale. It was everything I hoped for. Everything I could have hoped for, dreamed of, happened on that day. It was memorable. 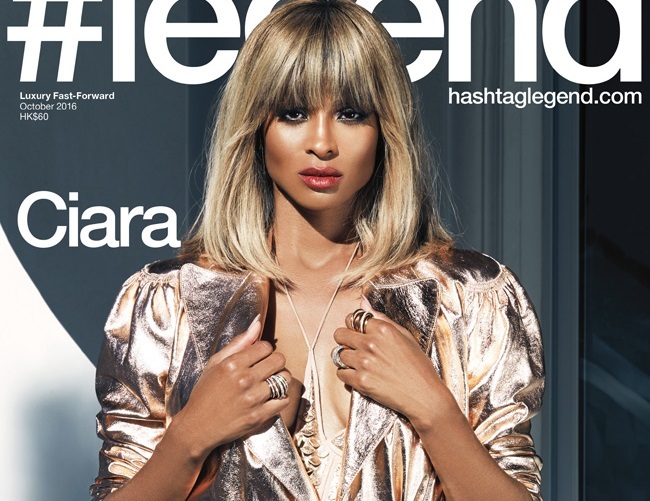 Ciara also thanks her two-year-old son for keeping her grounded and motivated on a daily basis. “Motherhood, oh my gosh, it’s one of the best jobs in life. My family, my son and my husband, those are the things that keep me grounded and centred and there’s no better feeling than coming back and seeing him smile after a long day.